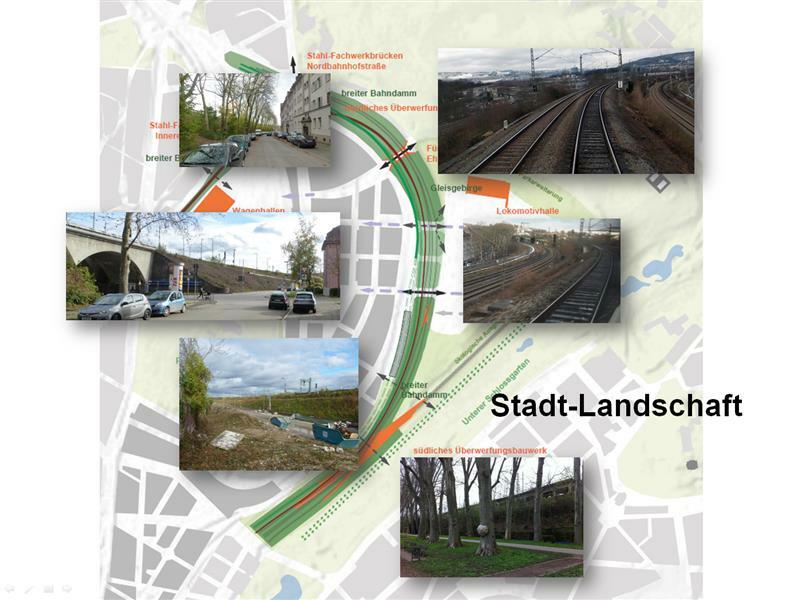 As part of the Stuttgart 21 Project, the Deutsche Bundesbahn is due to clear its railway sites north of the city centre in favour of a new urban development. This includes the entire Gleisbogen landscape with its railway tracks, embankments and bridges. Its wholesame demolition has not yet been decided, though. There is still a chance to stimulate a public discourse upon this railway infrastructural landmark, neglected for a long time. 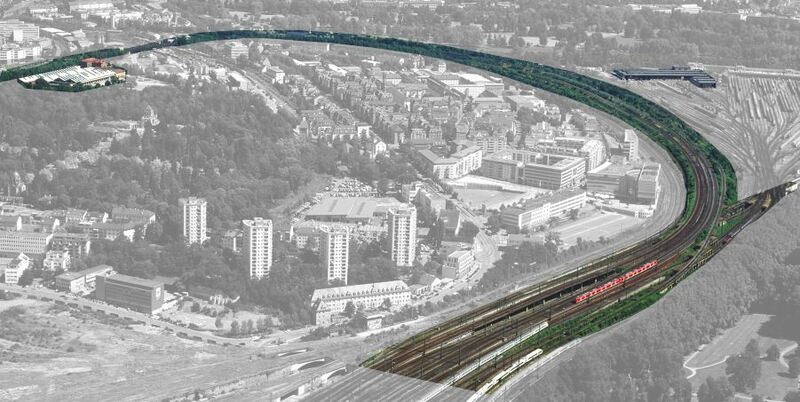 Commissioned by the Royal National Railways of Württemberg, the Stuttgart Gleisbogen has been built by Wayss & Freytag AG to the plans of civil engineer Karl Schächterle from 1908-1914 to connect the then new terminus Central Station designed by P. Bonatz and F.E. Scholer (the first part of which was unveiled in 1922, with the station being completed in 1928) to the regional, national and international railway network. 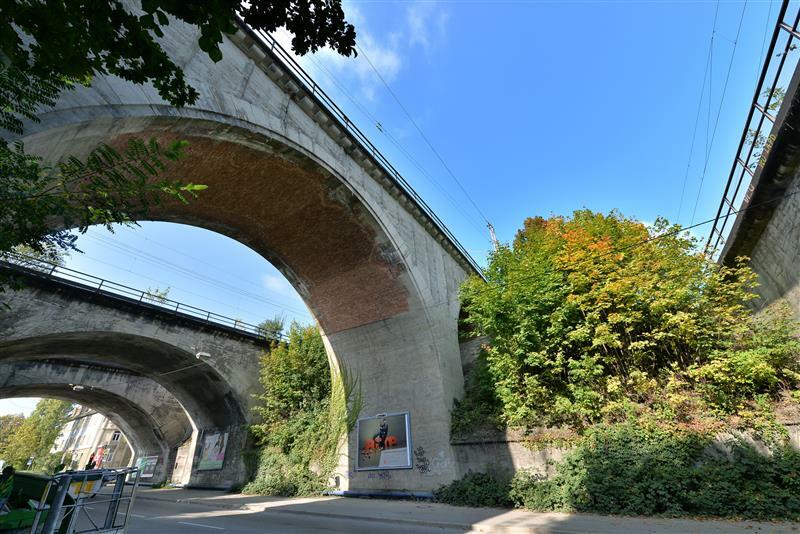 As this outstanding urban historical monument of railway infrastructure had already left its indelible mark on the valley area of Stuttgart North, its potential to contribute to a transformed identity of this quarter cannot be overestimated. 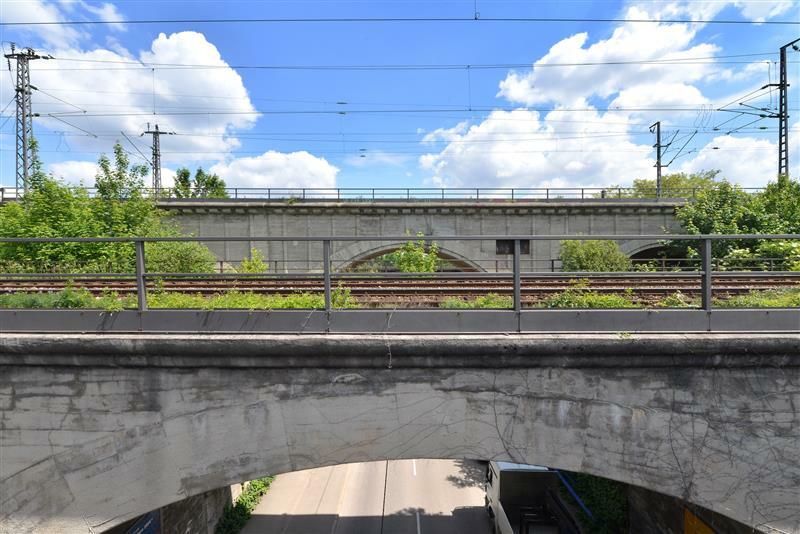 The entire artificial landscape of the Stuttgart Gleisbogen is a protected site, with its railway tracks and facilities, bridges and viaducts being listed as monuments of technical and cultural interest (2004 Heritage Act of Baden-Württemberg, §2). This includes the tracks towards Bad Cannstatt with the historical Rosenstein Bridge over the Neckar. The brand “Stuttgart Gleisbogen” was initially coined to introduce the travelling exhibition of the same name initiated by the Info-Laden Rosenstein “Auf der Prag” e.V. * back in 2013. 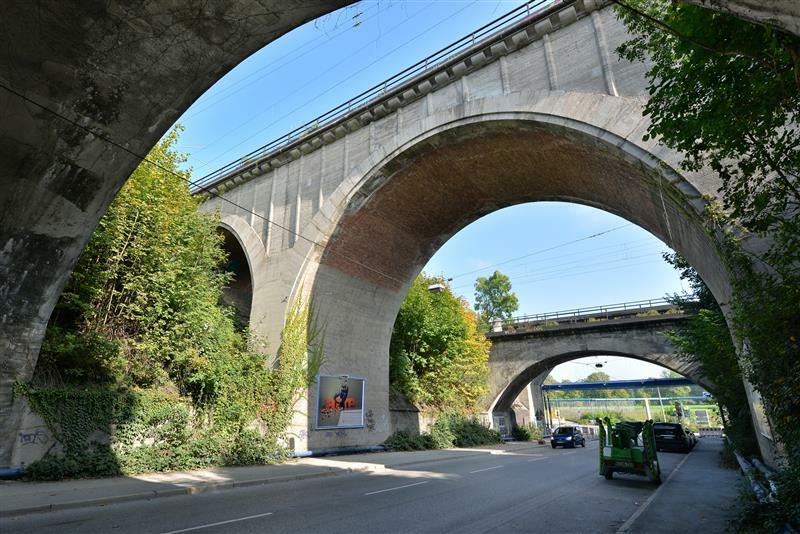 The Stuttgart Gleisbogen refers to the railway infrastructural constructions that encircle the Nordbahnhof District (“Railway Workers Village”) from north-west to north, east and south-east, leading to the Central Station. With a length of some three kilometers (1,8 miles), it covers an area of around 18 hectares (about 44,5 acres). The Stuttgart Gleisbogen´s aim is to unite all the lines from three main directions, embed them into the Stuttgart valley topography, and lead them unintersectedly into the terminus Central Station: the so-called Gäubahn line (coming from Zürich along the western Stuttgart valley edge), the Feuerbach lines (from the north), and the Bad Cannstatt lines (from the north-east along the Royal Park). 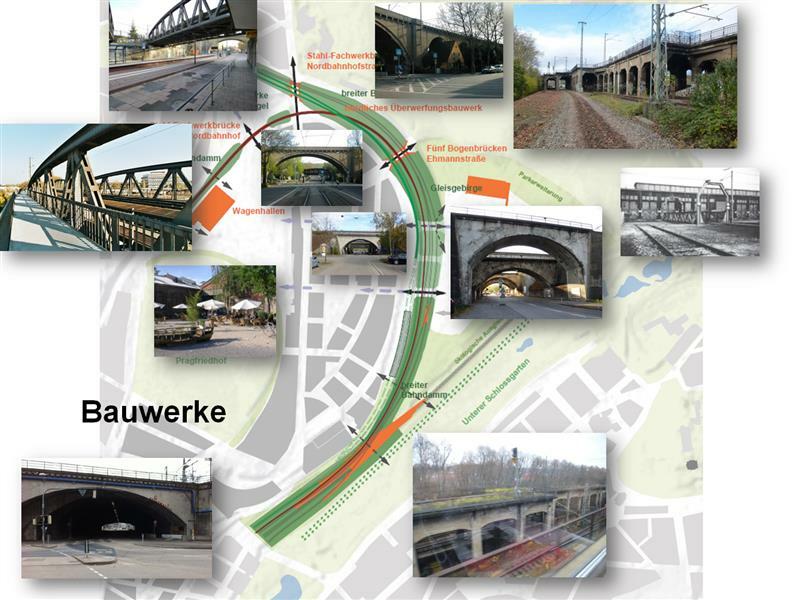 Its unique artificial landscape of embankments, gorges and tunnels incorporates a viaduct and several bridges, both ironcast and of concrete, including the two grand junctions: the Northern and the Southern Junction, with the latter being the most prominent Gleisbogen feature. 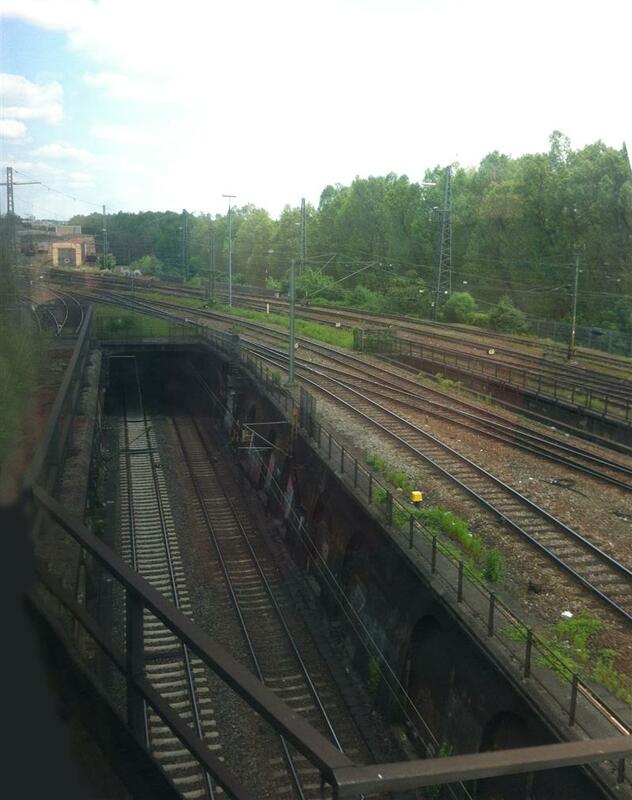 Located in the narrowest Gleisbogen portion, this southern “gate” to the grand ensemble boasts a length of some 600 meters, a width of circa 100 meters, and a height of 12 meters, with the purpose of bringing together 19 rail tracks unintersectedly from the three directions mentioned above.